Help improve the education of children who are willing and eager to learn. Teach extra classes in afternoons where smaller group sizes allow more personal attention. Lead afternoon activities, such as wildlife clubs, arts and crafts, reading clubs and drama. Teach adult education classes, providing skills development to rural communities. ‘Teach the teachers’ computer skills, as part of our initiative to introduce IT to schools and communities. 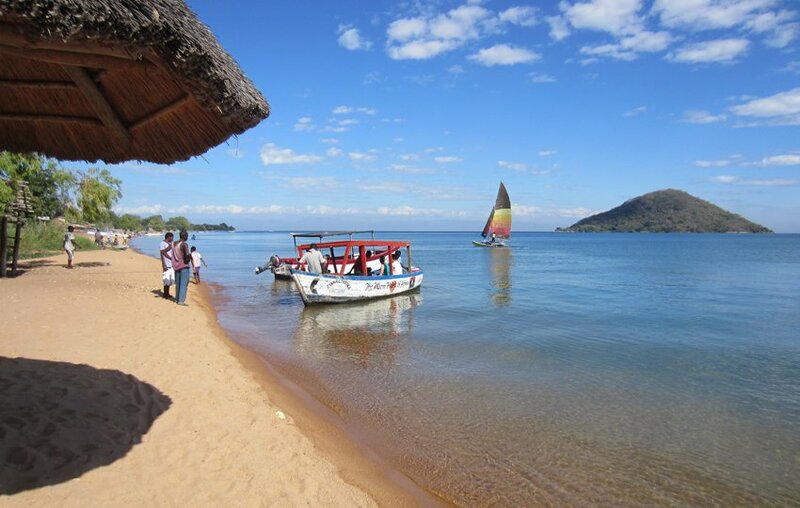 You will be based in a lakeside volunteer house, with views over beautiful Lake Malawi. Most children start their formal education at primary school in Malawi at the age of six. Primary school is divided into 8 standards and hence takes at least 8 years to complete. All children in Malawi are entitled to free primary school education. However, this is often of a low standard, particularly in rural areas, due to very large class sizes, which may exceed 100 students. Classes commonly consist of children of a wide range of ages, as without sufficient personal attention, those who are struggling and hence do not pass exams, are held back to repeat the year. Resources are so limited in some schools that children will sit on the floor and often do not have exercise books, pens, or pencils. Even classrooms are limited, so younger classes may be taught outside, under the shade of a tree, with children writing their answers in the dirt. 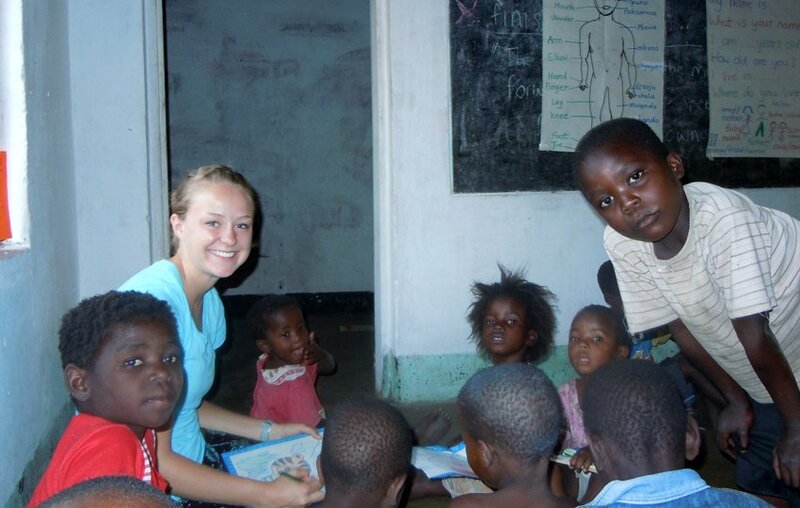 This is why we need your help as a teaching volunteer in Malawi. English, as your first language, is an important subject that you can help to teach effectively, as well as other core subjects, including maths and science, depending upon your experience and knowledge. Marked improvement in the exam results have been recorded at the schools in which volunteers have been assisting, so you can make a difference. s a teaching volunteer you will assist in one of the local primary schools, unless you have a lot of teaching experience, in which case we may ask you to assist at a secondary school. You will assist with curriculum subjects in the mornings, including English, maths, and sciences and in the afternoons you will take extra-curricular classes. 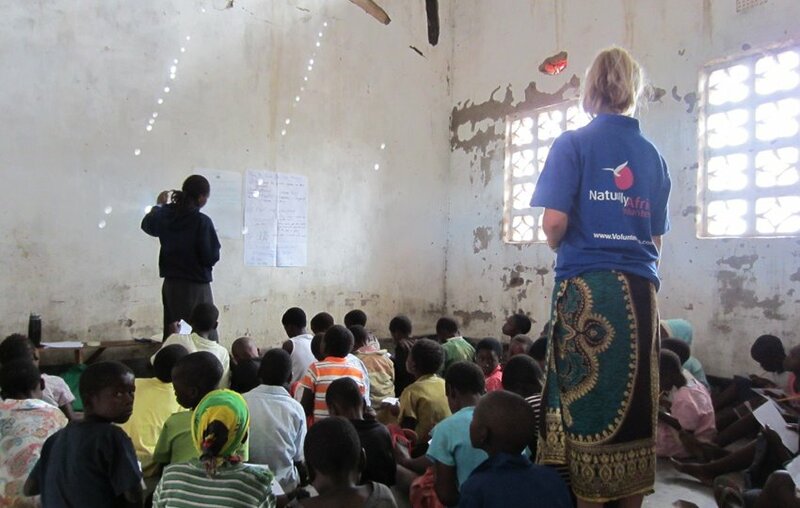 Schools start and finish earlier in Malawi than in the UK and many other western countries. You will leave the volunteer house at 07.00 each day and either walk, or be driven to the school that you have been placed at. You will generally be assigned to a specific standard (year group, but remember the students may be of a range of ages) and a partner teacher, who you will work closely with throughout your time at the project. Class sizes can be extremely large; between 60 and 100 students and sometimes more. We recommend that you communicate openly with your local teaching partner to establish how you work best together and you may be of the greatest assistance to them. For the first couple of days you will probably just observe the lessons, but we suggest that you start to get involved as early as possible to make the most of your time as a volunteer. Initially you will spend most of your time assisting, but as you become more confident, or if you have subjects that you are stronger in, you may agree to start planning and leading some of the classes. You are not expected to do anything that you are not comfortable with, but are there to help with the large class sizes and ensure all students are receiving sufficient attention. If you do not feel confident doing something that has been asked of you then discuss this politely with your partner teacher. You will generally finish at about 11.00 in the morning and will have a welcome lunch break during the hottest part of the day. Depending on the season and the activity you are taking you will then return to school at about 14.00; possibly as late as 15.00 if you are coaching a sport. Afternoon activities take place Monday to Thursday and you will usually return to the volunteer house by 17.00. Friday afternoon is free time, as you may be departing on an organised weekend excursion. The project co-ordinators will try to involve you in the activities that you are most interested in. However, please be flexible, as we rely on volunteers to maintain the continuity of certain clubs and activities and if there are relatively few teaching volunteers when you are there these activities will take priority. Library club, which enables you to work with smaller groups of children, improving reading or focusing on specific subjects. IT lessons, which is a new initiative. These will initially taught to the teachers, with the aim that classes will be introduced for the students once the teachers are competent and we have obtained more reliable laptops, or computers. You do not need any specific computer skills to teach these sessions. Sports, or games, such as volleyball, football, netball and rounders. If you have a particular interest in, or are experienced at coaching sport then please let us know, as you may be better suited to the sports volunteer project. The daily routine is pretty similar, but you will focus on coaching sports to village or school teams, as opposed to other afternoon activities. Drama, music, arts and crafts, depending on your personal interests. If you have not spent time at a school in Africa before, you should be prepared that schools in Malawi are certainly not like those you will be more familiar with in the UK, or your home country. There is relatively little structure and time is often not a priority (although this does not apply to you, as we expect you to set an example and be punctual). Resources are extremely limited at most schools, so you will need to be creative in planning your lessons. You may have little more than chalk and a blackboard and if you have this you’re off to a good start. Do not expect all of your students to have exercise books and pens, or pencils either. Initiative, motivational skills, flexibility, patience and a positive sense of humour are all useful traits to have as a teaching volunteer in Malawi. If you don’t have them already you probably will do by the end of your volunteer programme. If you come prepared for this it will not take you long to get used to how things work, you will enjoy the experience and will find teaching the children very rewarding. If you would like to bring any teaching aids or educational materials with you these will be gratefully received and useful. Please speak to the project co-ordinators about anything you have brought as a donation on arrival to ensure that it is given in an appropriate manner. You should be aware that corporal punishment is permitted in Malawi and it is not your place to get involved should you witness this. If you are unhappy with a situation, simply remove yourself from it. In Malawi there are three school terms each year, the dates of which are more or less in line with those in the UK. The longest holidays are during the summer, with shorter breaks around Easter and Christmas. The exact dates tend to vary a little each year and are often not confirmed until the last minute. During the holiday periods teaching volunteers are involved with additional classes that are usually held in the mornings. These will be supplemented by activities and lessons organised and motivated by you with the support of the co-ordinators and school heads. These activities are welcomed, as they keep a lot of the children off the streets and out of trouble. You may teach arts and crafts, music, drama, extra English and reading, wildlife and environment classes, and coach games and sports, depending upon your personal interest, or skills. You will need to be motivated and proactive in arranging these activities and encouraging the children to attend. I found this project fantastic, I was so unsure what to expect at first, but I have gained so much from meeting all the children at the school as they were amazing children. I have grown as a person and will take Malawi in my heart forever. 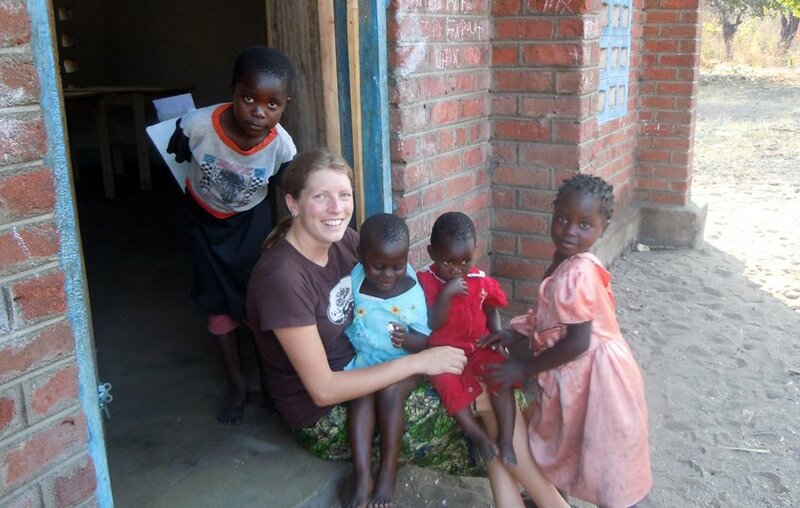 The wjole time spent in Malawi was incredible. Living in the heart of the village was fantastic as you really get a real feel of Malawi and its culture. Meeting all the children was the best part and I will never forget them. My room was always clean and lots of space, and the food cooked was fantastic. All the meals were really good and catered for all. There is just so much to write and so many photos I want to include…I could be writing a book. It really was a life changing experience and I really would love to go back one day. Everyone was so friendly and welcoming, all the children I got to know were inspiring and the country itself was just beautiful – I can’t describe my trip in words to anyone who asks me! So thank you very much for everything. I really enjoyed the project work. It was challenging at the beginning as it was my first real teaching experience but it was great getting to know the students and teachers. I most enjoyed getting to know the children and doing the afternoon sessions (arts/drama, wildlife, library). Preparing the library was the most rewarding as I was able to see it mostly complete during my time in Nkope. The staff were very welcoming and helpful. They were always willing to help with any questions, concerns or specials requests and I will miss them all very much! The accommodations were amazing and totally exceeded my expectations. We couldn’t have asked for a more beautiful location right on the shore of lake Malawi – it made it feel more like a holiday and is definitely better than any other volunteer accommodations we’ve heard of. Gerald is an amazing chef and the meals were outstanding. He also managed to cater to everyone’s special dietary requests. Future teaching volunteers could prepare some easy educational games that could be played in class and bring some teaching resources such as pictures, coloured paper, markers etc. The main advice I would give to future volunteers would be to be open minded and no expectations and you will love it. I just wanted to say thank you so so much for providing such an amazing volunteering experience. It’s actually really hard to put into words how much I enjoyed my time in Malawi because every time I think of it (which is a lot…) I just want to go back!! The house was amazing, the staff wonderful and the village probably the most welcoming and friendly place I have ever come across. I never thought I would enjoy teaching as much as I did but the smiles on the nursery children’s faces everyday and the support and enthusiasm of Rose, Florence and Lucy is something that I will always remember, it makes me smile just thinking of ‘follow, follow, follow’ and 60 Malawian children running, hopping, flying and jumping along behind me! I couldn’t have asked for anything more from my time in Nkope (except being able to stay longer…and maybe not quite so many salad cream sandwiches!) and I hope that one day I will be able to go back and see the progress that has been made in the community. 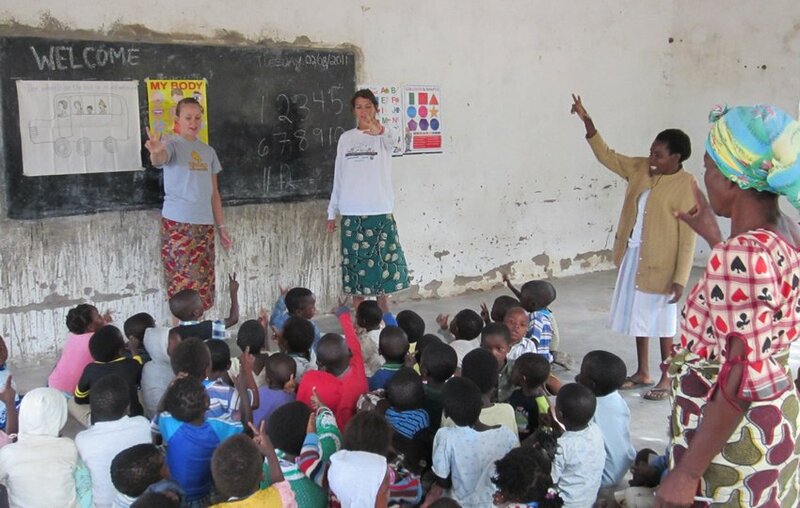 The Lake Malawi Teaching Volunteer Project has a start, or arrival, and departure date every second week on a Monday. You will arrive on the Monday evening and will probably be quite tired after travelling, so you will have dinner, meet the other volunteers and settle in to your room. In the afternoon you will be taken on a familiarisation tour of the local area and nearest town, including the local market there. This will provide an opportunity to buy cheaply priced local material for wrap-around skirts if you need to. You will stay in a shared volunteer house in a small village about 14 kilometres south of Monkey Bay. 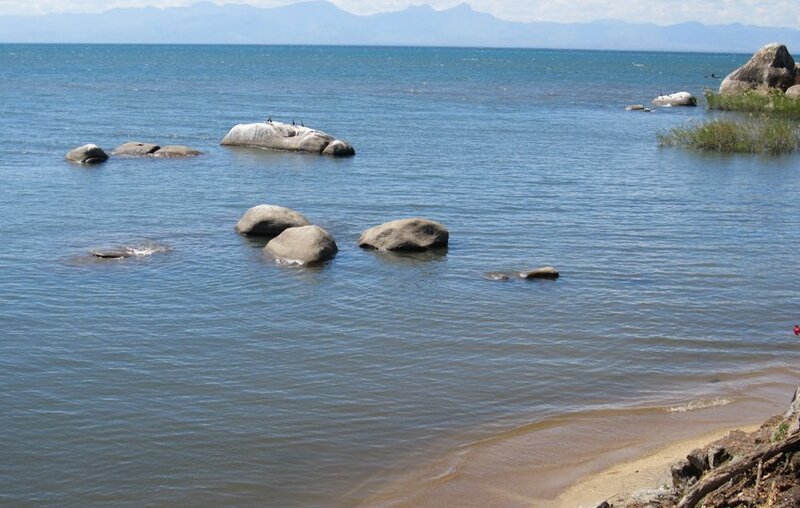 The house is located in a beautiful spot on the shores of Lake Malawi at its southern end. Malawi and the area that you will be volunteering is very safe, but the house is also fenced and gated to offer additional privacy and security. You can soak up the sunshine in your free time in the spacious garden overlooking the lake. Depending on which school you are teaching at, which you will be advised of on arrival, you will either walk into school through the village, or will be transferred in the project vehicle. The bedrooms in the volunteer house are large shared rooms, generally with bunk beds and mosquito nets are provided. They either have ensuite facilities, or a shared bathroom, with western style flush toilets and showers. The water is cold, but most of the time in Malawi this is quite welcome after a hot day volunteering. The house also has electricity, but power cuts are not uncommon and can last for a couple of hours, or occasionally longer. The staff at the house consists of a cook to prepare the meals for you, a housekeeper to do the cleaning (although you will be expected to do your bit to keep the house tidy and clean up after yourself) and night watchmen. Three meals per day are provided. Breakfast usually consists of toast, or pancakes and tea/coffee. Lunch will be self-service, consisting of pasta, soups, sandwiches, or similar, or a packed lunch if you are not returning to the house in the middle of the day. A hot dinner will be prepared for you in the evenings. The cooks do a very good job of catering for you and can accommodate most dietary requirements. However, please be aware that ingredients and supplies can be limited, seasonal or particularly expensive in Malawi, so there is not always a wide variety of food available. You are lucky enough to be staying in a volunteer house right on the edge of Lake Malawi and have the sparkling waters to swim in each day. At weekends you may either relax at the volunteer house, or if you would like to see some of the highlights project staff will arrange this for you. Organised weekend excursions are not included in your programme fee and should be paid for locally. They usually cost about $150 per person, including transport, 2 nights’ dorm room accommodation, 3 meals per day and a staff member to accompany you as your guide. We would recommend doing a couple of these groups trips during your stay to see a little more of Malawi. You should arrive before 14.00 on your project start date. If you arrive, or depart outside the specified dates, or after 14.00, we will need to arrange a private transfer for you, which will cost $175 per person one way. Depending on your previous experience you may be required to complete a basic weekend, or online TEFL (Teaching English as a Foreign Language) course. If you have limited teaching experience we would recommend this anyway, as your experience and the value you bring to the project will be improved by the teaching ideas and confidence that you will gain. Malawians believe that appearance is important and whilst teaching, females are expected to wear long skirts that come well below the knee and tops that cover your shoulders and cleavage. Males should wear smart trousers and a shirt with a collar. Please remember to be respectful and considerate if you wish to suggest any improvements, or new ideas that you feel would benefit the project. Staff at the schools and projects may have different cultural expectations and values to those that you believe to be right, or appropriate. They may work to Africa time, which at times may seem relaxed to the point of being horizontal. However, the co-ordinators have much more experience at managing local project relationships than you, so ask for their advice if you are unsure about something and please listen to it. Who knows you may even learn to relax a little more yourself!